Are you being left behind in the world of technology driven business? Not yet migrating to the cloud – what on earth are you waiting for? What’s stopping you from migrating to the cloud? Maybe you’re a small business and you feel that you have your technology requirements waxed and don’t need to make any changes. Maybe you’re a big business and you’ve invested heavily in hardware that you have maintained and upgraded over the years, staff that have been carefully selected and trained and other infrastructure that has also cost an arm and a leg. How do you just discard something that has cost so much and been built over a number of years? Quite simply, because it will land up costing you far more if you don’t. You can continue doing things the way you’ve always done them and getting the results you’ve always had, or you can move with the times and unleash your company’s true potential. We know that you don’t want to be dictated to by what your competition are doing, but there are some cases where you may ignore them at your own peril. The trend towards the cloud is not a trend because it is the latest shiny toy, it has become a trend because it has significant benefits and advantages. Staying behind may leave you behind. Just this week one of our major banks, an industry that is typically risk averse, announced they have adopted a cloud strategy. Regardless of your original investment, the time will come when you have to outlay more money to upgrade or maintain that equipment. Rather invest that money in a move to the cloud because you will spend once and then never have to worry about another upgrade again – at least not for hardware. 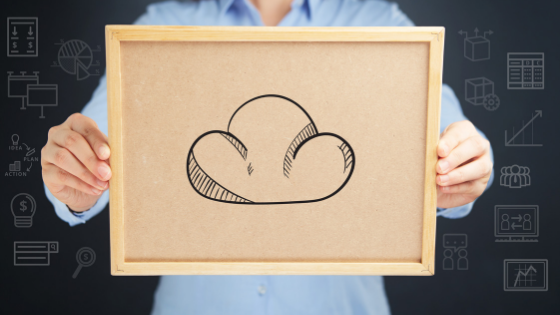 If you are uncertain of whether a migration to the cloud will reduce your operating costs we would be happy to assist you with a Total Cost of Ownership exercise. Remember that time the system failed and you were so relieved because you had backups, but then the backup would not restore…and all hell broke loose? Well when you’re in the cloud, with a reliable partner, that shouldn’t happen. In an AWS environment, you have enough storage space to keep multiple backups or snapshots to avoid a crisis of total data loss. In the cloud you do not have physical server constraints – what’s more, with a reliable service provider, you’ll only pay for what you use. So, those companies who have variable or seasonal demand, only pay for the additional demand when they use it. Suddenly find yourself needing greater capacity? No problem, the infrastructure is there. 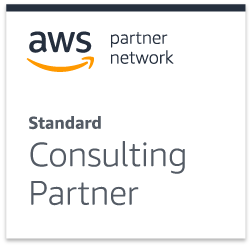 Hosting on the AWS infrastructure, you can rest assured that privacy and data security are of paramount importance. At the same time, you will have full control over your content through simple, powerful tools that allow you to determine where your content will be stored, secure your content in transit and at rest, and manage your access to AWS services and resources for your users. In addition, through the use of sophisticated technical and physical controls, you know that your data is protected from unauthorized access to, or disclosure of, your content. Most people view migration to the cloud in the same way they’d look at getting a divorce or choosing to emigrate. It seems clouded by endless administrative tasks, hours of planning, discussion and debate and the closest thing to kicking a hornet’s nest. It doesn’t have to be that way. We choose to see it more as a cathartic uncluttering session. Symbiotics experience allows you to sit back and enjoy the benefits of the cloud without the hassle of the actual move. You’ll continue working with the tools you are used to using, with very little, to no change, while enjoying all the benefits the cloud has to offer. We’ve been in the business for decades, we’ve eaten our own dog food, and we understand the challenges as well as the benefits. We also know that it’s no longer a question of ‘if’ but rather a question of ‘when’? And that being the case, our question to you is: if not now, then when? Give us a call to discuss your possibilities.